Hello! 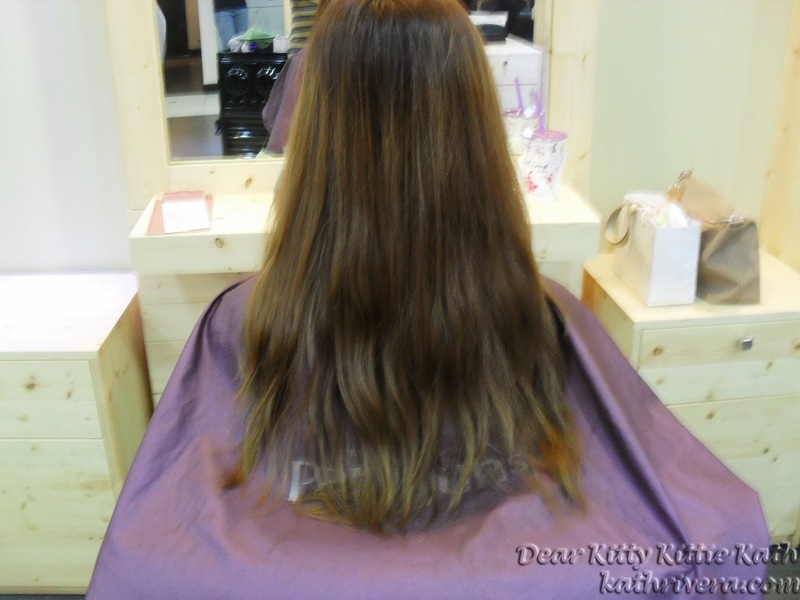 Here's another super late post from one of the hair treatments that I've tried last December. My hair that time was digipermed so you'll see me with curls here :) I'm back to straight hair now because of another treatment. 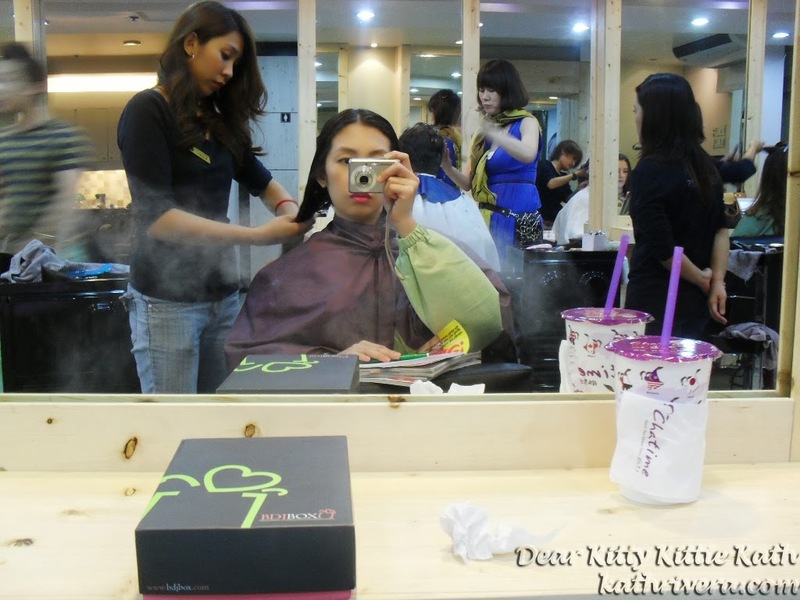 Today, I'll muse about my experience on Park Jun's Beauty Lab at their Glorietta 3 Makati branch. Korean culture has definitely hit the Philippines by storm, from music and food to fashion and beauty. Now more than ever, Filipinas continue to be inspired by the hairstyles of Korean women that have an effortless yet trendy appeal, always appearing on the forefront of style. With the whirlwind of Korean trends spreading across the Philippines, Filipinas are always on the search for beauty hair experts that could give them that whole Korean-inspired look within the comfort of the metro. Park Jun’s Beauty Lab, a one of Korea’s fastest growing salons that opened back in 2008, has been providing fine quality hair services with compromising safety and health. 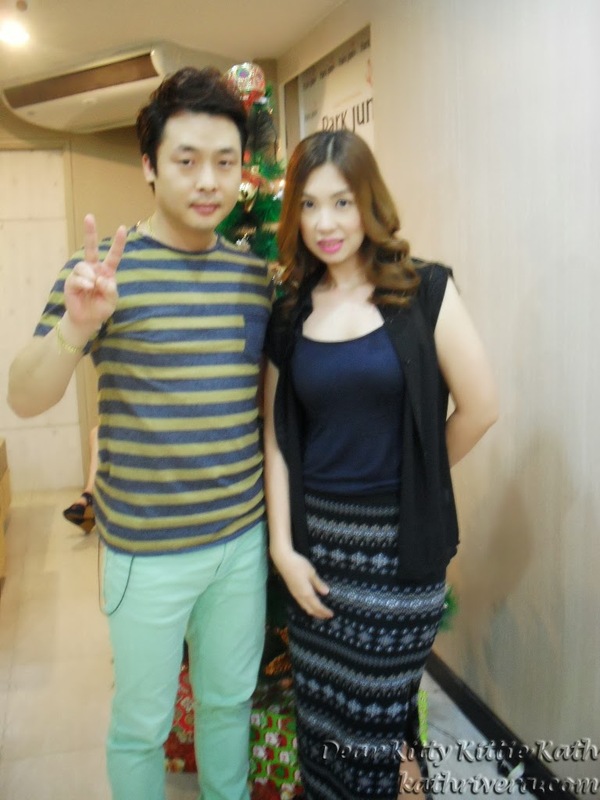 Park Jun’s Beauty Lab delivers unique and innovative hair expertise crafted by its very own Korean hairstylists that has truly set the salon apart. Its hairstylists hold high standards of knowledge and skills as they all went through intensive training at the main Park Jun’s Beauty Lab in Korea. They are required to obtain a Korean National Qualification License before they can practice hairstyling in the Philippine. Furthermore, each stylist has more than 10 years of experience in the salon industry making them very sensitive with and well-informed on the ever-evolving beauty and fashion landscapes. This awareness allows the hairstylists to constantly be on top of their profession. MY HAIR AFTER THE TREATMENT :) This photo should be placed at the bottom of this post. Because I wasn't able to take a photo of their reception, I'll place it here instead so that you'll be able to see the salon's logo. So what is Mucota Hair Treatment? This kind of hair treatment is exclusively available at Park Jun's Beauty Lab. It originated from Japan and mostly actors and actresses there avail this kind of hair treatment since their tresses are abused everyday from different hairstyles that they need for their tv shows and the like. All Mucota Hair Treatment products came from Japan. Mr. Kino, my stylists that day said that Koreans adapted this kind of hair treatment because it's suited for Korean stars who always change their hair colors from time to time. Korean actors and actresses also change their hair styles from time to time that's why their hair is dubbed as one of the abused part of their body from chemicals and other kinds of treatments. Mucota is their savior! This treatment is suited for all hair types and the result will last for 1- 2 weeks. STEP 1- Wash hair with warm water using MUCOTA SHAMPOO. STEP 2- Apply the MUCOTA ADELE, a kind of treatment to make the hair soft, healthy and shiny. This gives moisture to the hair strands. After the application of Adele, my hair was steamed with mineral water as you can see on the photo below. This procedure lasted for around 7-10 minutes. After the steam my hair was rinsed with warm water. STEP 4- CALORE- this treatment protects the hair and makes the the hair stronger. It also makes the hair very soft to touch for days. While applying this product, my hair was also steamed for 6 more minutes and rinse with water afterwards. The hair attendant always make a tapping motion on my hair strands so that the product will be absorbed properly. STEP 5- MUCOTA CONDITIONER was applied to my hair. This will laminate, seal all the treatments and makes the treatment longer. After this, my hair was finally washed with cold water to close the hair cuticles. STEP 6- SERUM OIL was applied to make the hair shiny and it also seals in the treatment. After the steps, my hair was styled according to what my digipermed hair should look like. Tada!~ My hair after the treatment looks very healthy and shiny! I also love the curls Mr. Kino made. He said that I should maintain my curls with the right treatment and products if I want to make it lasts longer. 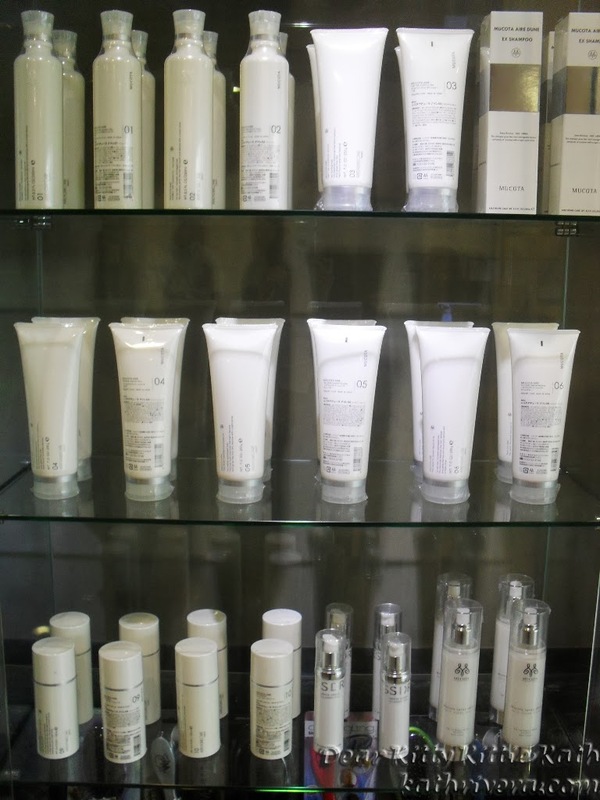 By the way, Mucota Hair Treatment can also be maintained using these products at home. So if you'll use this products, the treatment will last longer than the usual 2 weeks. I highly recommend this kind of treatment if you want to have soft, weightless and shiny hair or if you're going to have a hair color sesh, I do advice to treat your hair with this kind of treatment to lessen the damage from the hair dye chemicals. Yay, thank you dear :) I think our hair is really important like our eyebrows para magkaron ng life and dimension yung face natin. Yes sis, I think this is one of the cheapest treatment din that will last for days up to week compared dun sa ibang treatments sa mga high-end salons. I'm curious about this place for quite a long time. Your hair indeed looks healthier. I should go get a treatment for my hair too, sometime in the future. hehehe. Feed your curiosity sis and try the treatment soon. Hope you can try it soonest! Thanks sis! Yes, the price is really reasonable knowing that it's one of the high-end Korean salon in the country today. I am always curious about this place and I want to try the Volume Rebond. Hello, hope you can try the volume rebond soon. I also want to try Volume Rebond once my hair gets back to the natural straight state. I have a natural straight hair kasi and it's thin and limp that's why I need a volume rebond. the place looks a great one and you are also looking great with the new healthy and shinny hair. Yes, thank you! 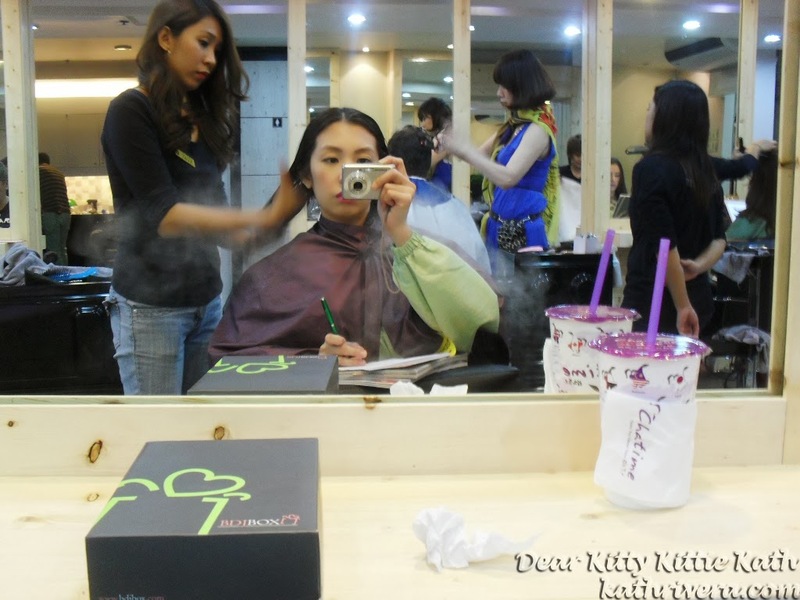 The place is really great specially if you really want to achieve Korean hairstyles because they can achieve it. Yes, it's because of the Korean craze that we have right now! I know a lot of young generations really love K-Pop and because of them Korea is getting closer and closer to us. Yup, this is their secret. The stylist revealed that they always go for Mucota treatment every week or once a month so that they can change their hairstyle every now and then without the damage. They did a great job on your hair. You look fabulous with those curls. Yey! Thank you so much sir Frank :) This kind of treatment makes every girls dream of having beautiful hair come true. its good kung hindi talaga sya amoy parlor atleast hindi masakit sa ilong habang ginagawa yung treatment,. you look good everytime you post a photo,. naku, thank you sis :) with the help of makeup and properly groomed hair kaya ganyan. kaya thank you din kasi na share ko yung mga experience ko sa inyo. yes, advantage pag hindi amoy parlor kasi nakakasakit talaga sa ulol paglabas. It's looks terrific after the treatment. Keep up your beauty program, you're doing great. Wow, ang galing ng transformation of hair. Looks good in you. Yup sis, it's really worth it. Thank you! Do they have a branch in Cebu? My hair is so dry that it feels like broom! Eeek! I badly need a little hair pampering. Your hair looks gorgeous, Kath! I should undergo that treatment. Hi Peachy, thank you! Yes sis, go for this treatment and I'm sure you'll be more gorgeous than ever! Love your hair! My hair is also digi permed but it went back to its normal wave after 2 months. I hope I can try this salon's services too. Thank you dear :) Aww, hope you can try this service if your planning to go back to the natural straight or natural wavy hair style. You should have this treatment once a month. If you have natural curls you can do it every two months. Would you know how much are the products you used as maintenance at home? Thanks.